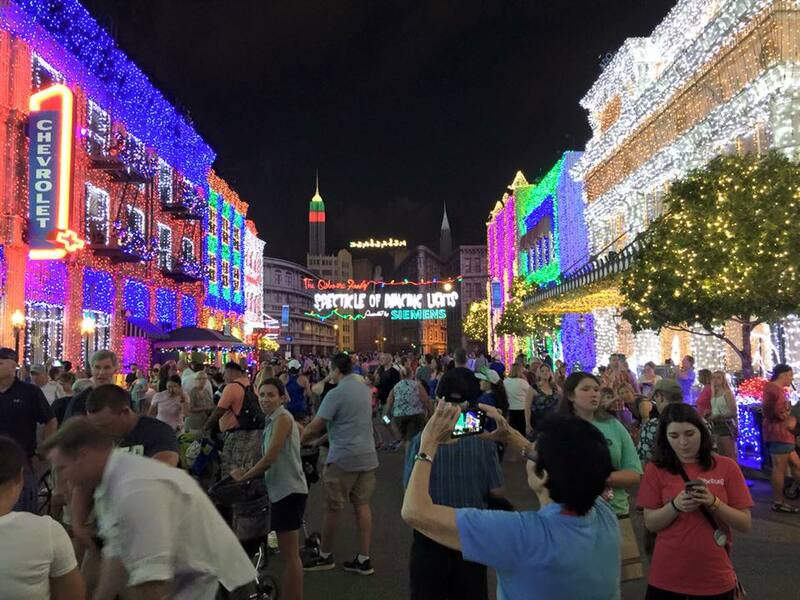 Yes Halloween was only 3 days ago, but the holiday season has come to Walt Disney World! 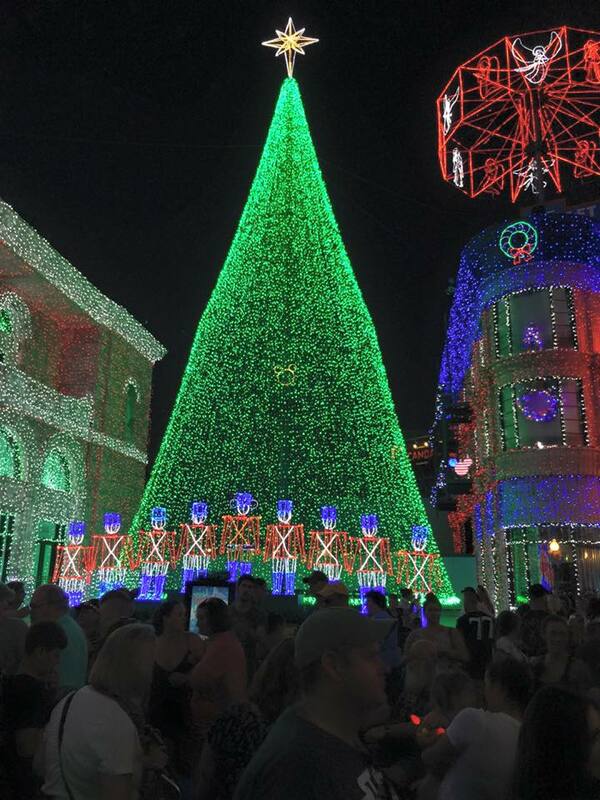 One of the most amazing Christmas displays that Disney puts up is the Osborne Family Spectacle of Lights at Hollywood Studios. Today was the soft opening of the display (photos from Sharon Perkins- Charming Travels LLC). 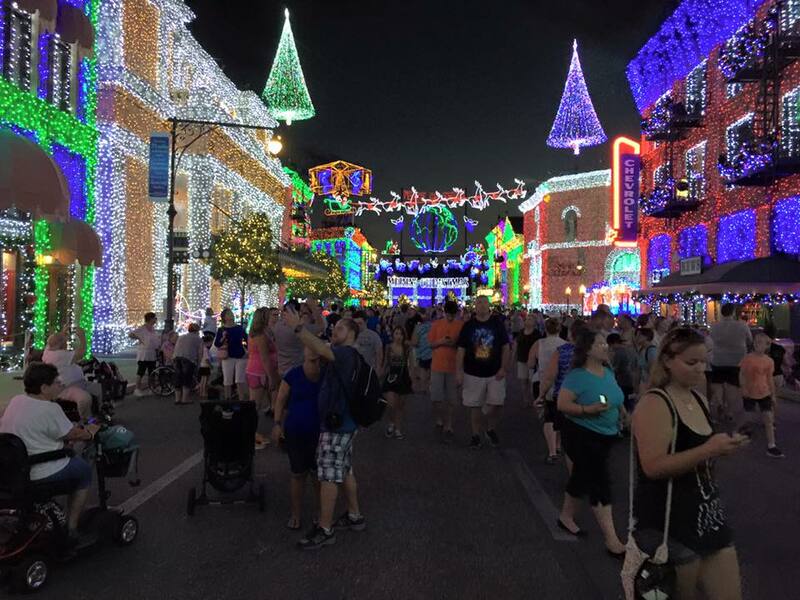 This display is absolutely incredible and has run for 20 years, this will be its last. I only wish I would have had the chance to see it!!! 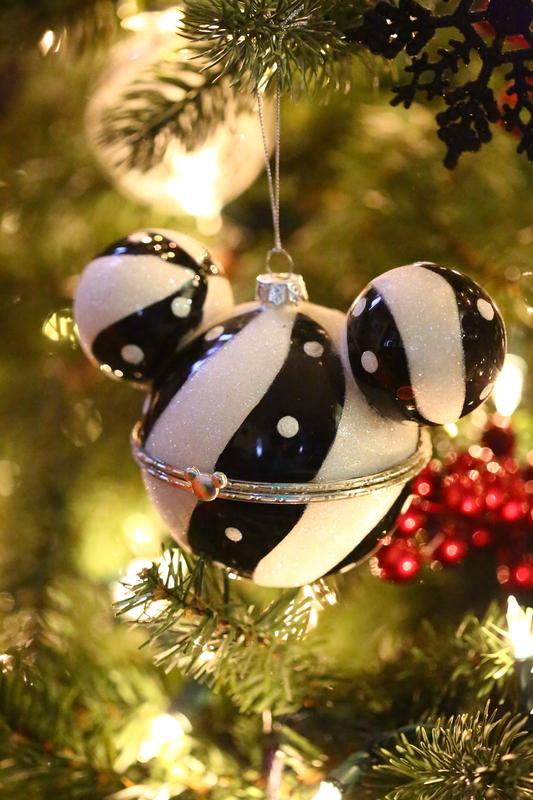 I do leave for Disneyland in 9 days and am hoping to see some decor along with their awesome 60 year celebration! 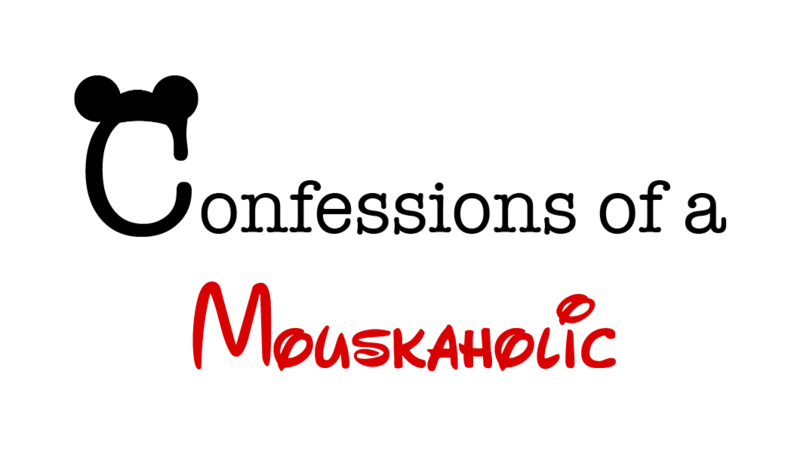 Hello Mouskaholics! I apologize that I haven’t blogged lately! 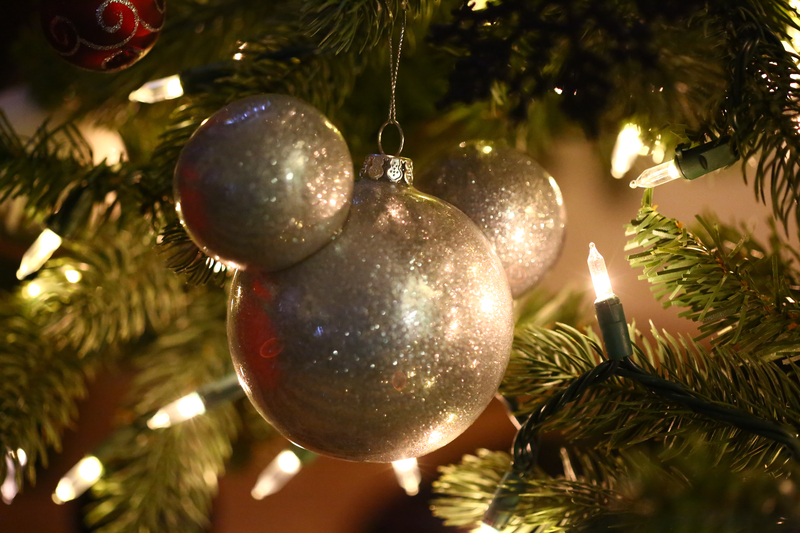 It is certainly NOT because I haven’t been thinking about Disney… I still love Disney and I love sharing my Disney experiences, life has just been on the busy side lately. 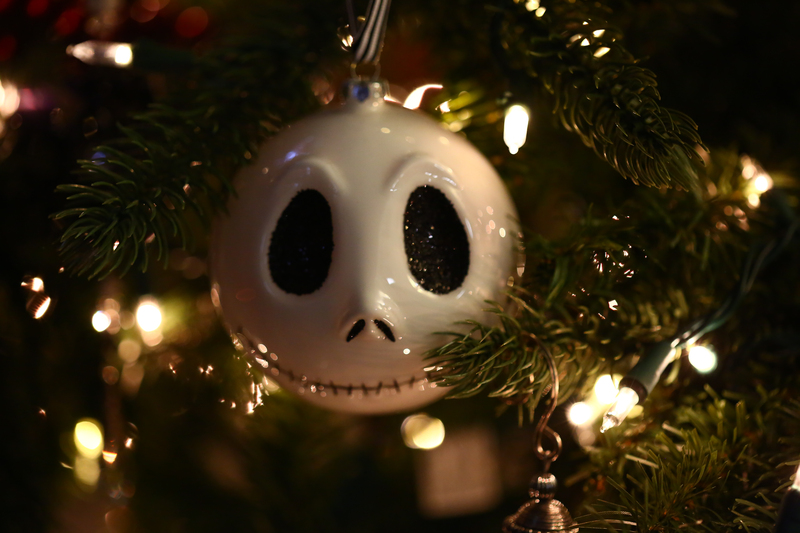 Today I want to share with you one of my favorite Disney traditions that my husband and I have. 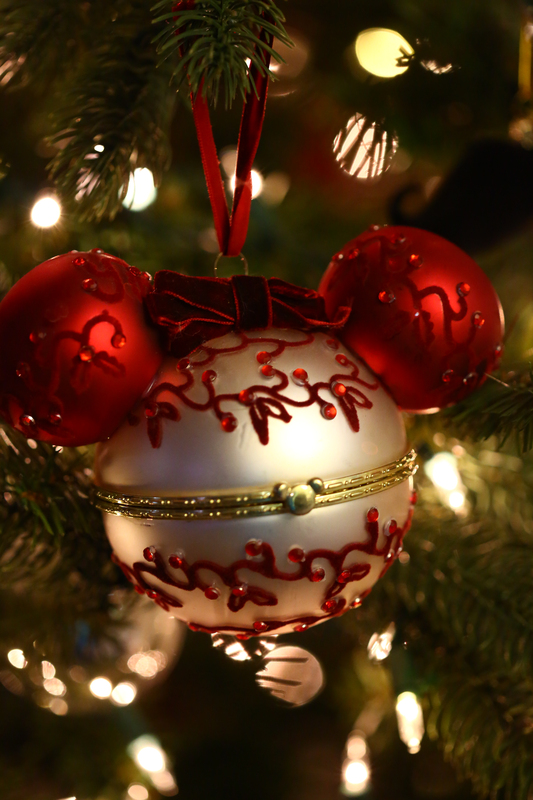 While we have never been to the Disney parks at Christmas time (trust me, it’s on my bucket list! 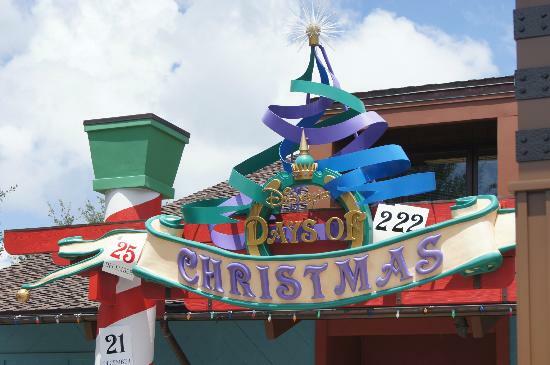 ), that doesn’t mean that we don’t incorporate Disney into our personal Christmas traditions! The living room in our home is painted with two maroon walls, and two white walls. The decor in the room is all black and white photos, and silver trims. 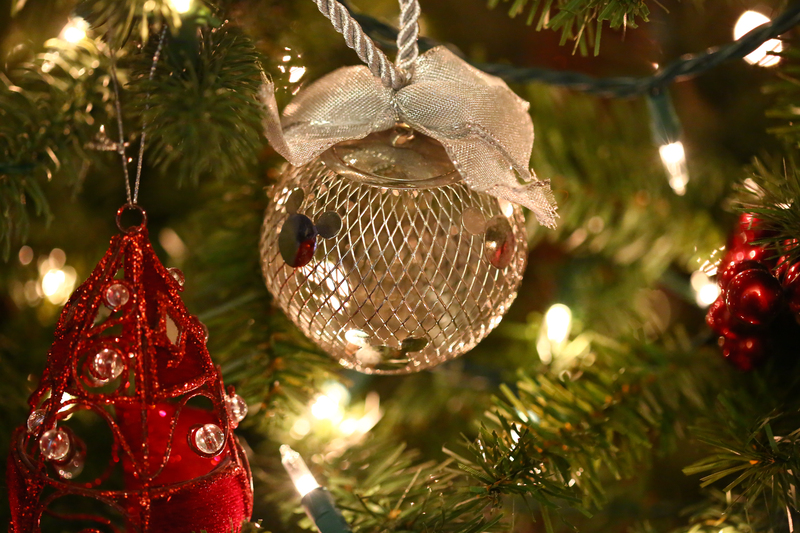 When we put up our first Christmas tree as a married couple we decided that the tree should match the room, so our tree is decked out with ornaments that are maroon, black, white, and silver. 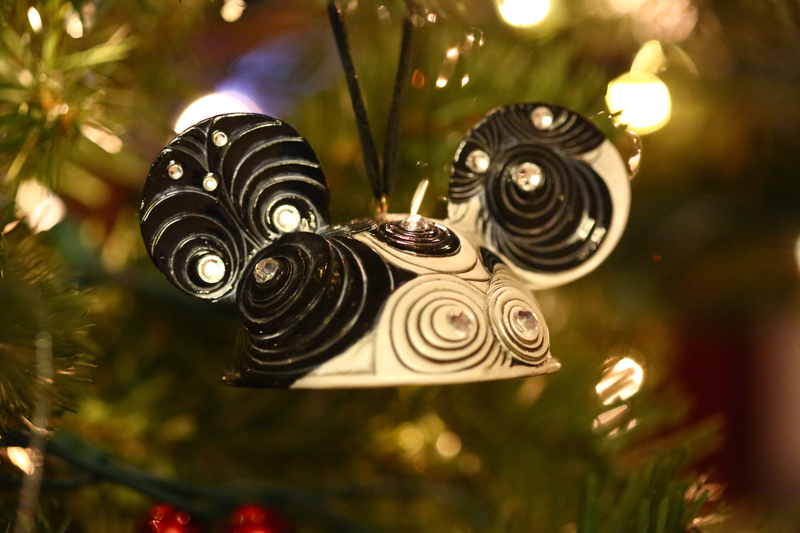 We started with a lot of generic ornaments and in the past seven years we’ve added a lot of unique ornaments to the collection. 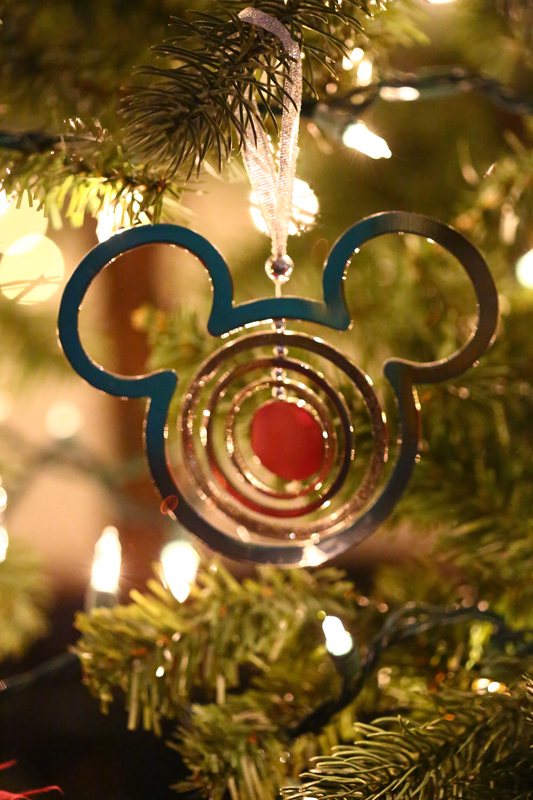 Our favorite ornaments that we’ve acquired are the ones that we’ve purchased on our Disney trips!